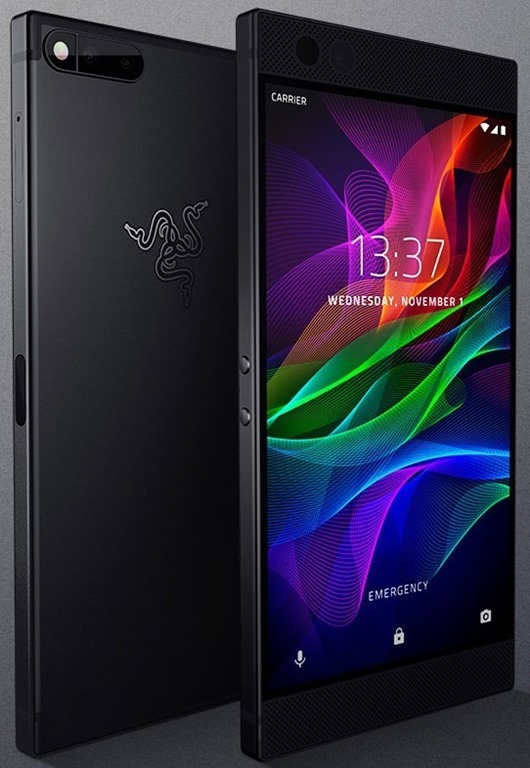 Razer, the PC gaming accessory maker, has announced a new Android smartphone called the Razer Phone. The device is the first mobile phone, to feature a 120Hz display (UltraMotion technology). Most Phones have a 60Hz display refresh rate in comparison. The Razer Phone sports a 5.7-inch IGZO LCD 2560 x 1440 Quad HD display, with a wide color gamut, and Corning Gorilla Glass 3. The phone is powered by a Qualcomm Snapdragon 835 processor, with 8GB of RAM LPDDR4 1866Mhz, and an Adreno 540 GPU. The phone has 664GB of UFS internal storage, and supports up to 2TB of expandable memory via a microSD cards slot. The Razer Phone has dual rear cameras, with a 12 megapixels camera with n f/1.75 aperture and a wide angle lens, and a zoom lens with a 13 megapizels sensor and an f/2.6 aperture. The cameras support Dual Phase Detect Auto Focus, with dual tone dual LED flash. The selfie lens on the device is an 8 megapixels camera with a fixed focus, f/2.0 aperture. The Razer phone is backed by a 4000mAh battery, which supports Qualcomm Quick Charge 4+. Notice the really big bezels on the phone? Well, they house the stereo-front speakers with dual amplifiers. The phone supports Dolby ATMOS and has a THX certified DAC. It does not have a 3.5mm headphone jack, so you will have to rely on the USB Type-C port for your music.The Phone supports Wi-Fi 802.11 a/b/g/n/ac, Bluetooth 4.2, NFC, 4G LTE connectivity. The device weighs 197g and measures at 158.5 x 77.7 x 8 mm. The Razer Phone has been priced at $700, and will be available from Amazon.com and Razer's store from November 17th in the U.S, UK and Europe. 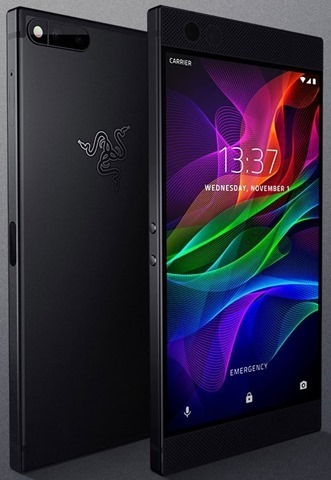 The Razer Phone looks like a candy bar phone, in a way quite outdated compared to modern devices which have moved to 18:9 aspect ratios. But the real power is in the hardware, so the design can be overlooked. That being said, we can't help but compare the design to that of the Nextbit Robin, and there is a reason why. Razer did acquire Nextbit last year, so it is evident in the design of the new phone. I don't know why, but it still looks good. But, I feel that the "Gamer Phone" tag line is a gimmick. You don't game on a phone, no serious gamer would, unless you count the ridiculous Candy Crush or Angry Birds games, or a scaled down version of a PC game. There are a few good "PC Ported version" gems out there, but even those don't compare to their original PC quality. Emulators shouldn’t be taken into account, as the games you play using those weren't made for mobile devices in the first place.Many modern "mobile gamers" think that ad-ridden, online-only, cash grab garbage games like Clash of Clans or Super Mario Run are legendary. When I ask them if they have played Age of Empires or The Witcher or Fallout or Skyrim (any PC hit), they have no answer. This is the sort of people that a gamer phone could target, people who have never experienced true gaming. Personally, over the last 7 years, I cannot say that I have enjoyed a mobile game as much as a PC or Console game. Sure you can kill some time while travelling or something like that, but you can’t rely on a phone for scratching a gaming itch. I'm pretty sure that most PC gamers will agree with me. 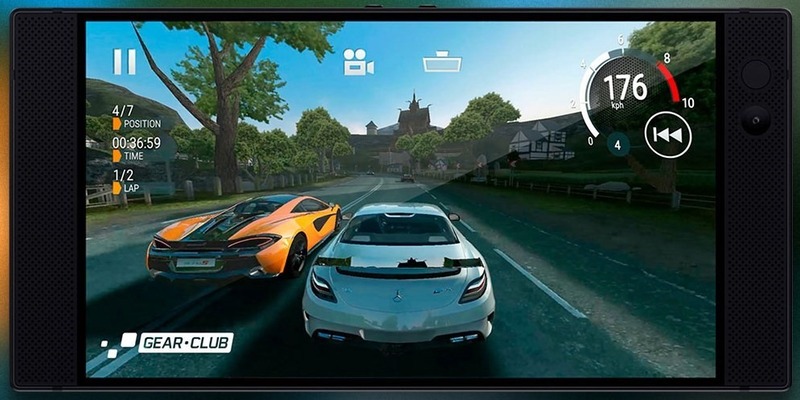 That's because mobiles are not meant for gaming as they are severely limited by their key feature, the touchscreen display. You can't beat a mouse and keyboard game, and of course no mobile chipset or GPU can offer the experience of a proper graphics card and processor. Mobiles will never replace PC Gaming or a PS4/Xbox One. But if you don't own a PC or a console, and depend on a mobile device for gaming, this might be a good phone to choose.